100% pure BEEF! 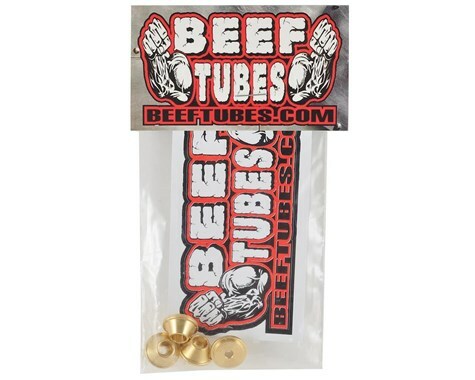 Beef Tips are the Beef Tubes version of stock shock spring retainers. Why do I need those, you ask? Because these can not fall off, that is why! 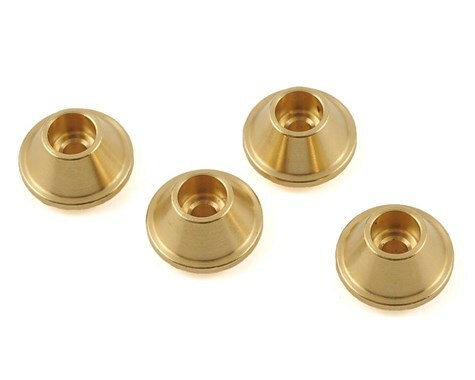 These are not slotted like the stock plastic spring retainers which, if you are like us and run a soft shock setup, you constantly are losing while at a comp or out trailing. These are the brass version and tip the scales at 22 grams. *This version fits the stock Axial SCX10 Icon shocks and springs found on many Axial rigs including the Yeti Jr. They will also fit Traxxas Big Bore and Losi 4" crawler shocks, but are too small for the Traxxas and Losi springs.